My friends, today we come to you with a heavy heart full of grief for our family and friends. Yet, even with that heavy heart, we still are able to look beyond our grief and see what our future looks like. Back in the day, God looked down at His people, and saw that they struggled. He saw that they failed to put Him first, He saw that they were fallen into sin that they commit, and He knew that His people would need someone to help them out. That man was Jesus. My friends, today, those of us that have chosen to follow Jesus are saved from our sin. We have been given an incredible gift, one that we only vaguely can appreciate, the power over sin and death. The power over dying and waking up in hell, or dying and waking up in Jesus arms. My friends, simply put, we are sinners saved by the Grace of God Himself. Saved by Grace for several reasons — not the least of which is that there is no way that we could save ourselves. This morning, we have several hard prayer requests, prayers for loved one’s lost, prayers for those ailing, for those that don’t know the way, but despite those hard life events, we know that we are saved by Grace — not by our own doing, not by any number of works we might perform, but rather, because God loves us, and He has chosen to give us this path to Him. Saved by Grace — three simple words that pack a punch that shows just how much we are loved. 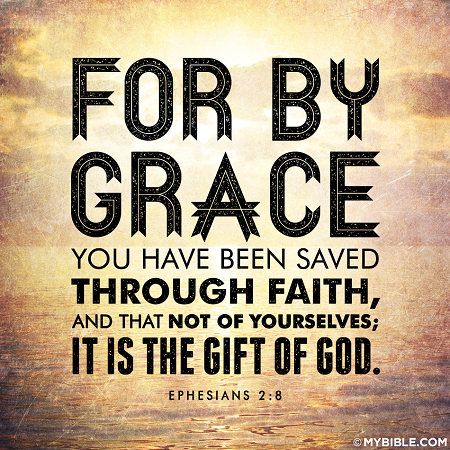 Are you saved by Grace? Do you not know if you are or not? If you have any doubts, at the end of our prayers will be a special prayer that I pray you will recite with your heart, soul, and mind. That prayer could be the start of a brand new you, the beginning of a new creation, one that is no longer a slave to sin, but rather, a new creation that can be counted on as one of those saved by Grace. Now, please continue reading and pray with us over our prayer requests and praises. Please remember the Beylors, Silers and rest of the family of Tim Beylor in prayer. He lost is battle with cancer this morning. He is finally out of pain and no doubt in a more peaceful place. I pray for healing of the physical and emotional drain these past few years have taken on his family and friends. Please give the family privacy at least tonight so they can rest. Vonni has an update on prayers for Brandon: GOOD NEWS!! I saw Brandon just a little while ago. He is in a “Step Down Unit” at the Hospital. B is no longer on a Ventilator, and his Trach will probably be capped off tomorrow afternoon thus allowing him to be able to talk. His Medical Team has been working with him so he can start eating soft foods and drinking thin liquids such as water, tea and Sprite which he loves.So far so good! Yesterday and Today he has been able to see his children, Maggie and Payton. They were there nestled in the bed with their daddy with his arms around them when I arrived. Best Medicine Ever!! His Spirit is VERY GOOD! The nursing staff said he is so positive and motivated and of course they just love him, because to know Brandon is to Love Brandon. He is undergoing a great deal of therapy, both Physical and Respratory. The staff says he is really improving rapidly. He is very busy and occupied and gets tired out and still continues to need his rest. I asked B if he wanted me to post a picture of him and the kids because everyone wants to see him, but he said not at this time. He still has a Trach and he doesn’t look up to it, but I think it’s more of the reason his hair isn’t quite how he likes it..Lol! I asked him when they were gonna change the oil in his hair…he desperately wants a bath other than the one they give in his bed but that’s a while off they say. Brandon wants EVERYONE to know how appreciative he is for all The PRAYERS, LOVE & WELL WISHES! that he has and continues to receive these past four weeks via the Facebook responses to my updates. He has seen them. It has truly touched his Heart! Mrs. Lucas has big praise on her prayer request for Madge: Mike, I have a praise today! Madge, my friend at Duke was removed from the breathing tube on Sunday night and last night she was moved out of Cardiac ICU! I am so very thankful for the prayers of so many here. I praise God for His goodness! Thank you! Jodi has a prayer and a praise for her son, who was married last Sunday: Celebrating today! My son gets married this afternoon. Please pray over their marriage and lift prayers of praise for them today. Thank you! As I mentioned above, if you are not sure if you are saved by Grace, then please read and pray this prayer with me. If you pray this prayer and believe it with all of your heart, mind, and soul, you will be saved. Please pray with me:Dear God in heaven, I come to you in the name of Jesus. I acknowledge to You that I am a sinner, and I am sorry for my sins and the life that I have lived; I need your forgiveness.I believe that your only begotten Son Jesus Christ shed His precious blood on the cross at Calvary and died for my sins, and I am now willing to turn from my sin.